How do we get people on board to support our social innovation? To get people on board is a tricky challenge we would like to tackle in a diverse way. From our point of view it is important to address people not only once using one technique but several times using different approaches. Below we differ between short and long term techniques and explain in which situations these supposed to be used. A picture says more than thousand words. Yes! This is why we created an info graphic (see above) which describes our projects outcome in a short yet significant way. This info graphic will be used in different scales. As a presentation supporting poster or a social event, kind of mini visual pitch, flayer. Short and precise oral pitch will lead our conversation partners right into our project. Finally a two page long more detailed description will be available for those who are interested in a deeper more professional level of collaboration with us. How and why is our social innovation scalable and sustainable? How and why is your social innovation scalable? I) A social network is not restricted in size and is therefore scalable. II) Since the price for the rfid technology is low it is easy to provide a higher amount of the sensors, as well for initiatives with a lower as for a higher amount of participants. As it is a passive technology no further resources are required from the participants to be fulfilled. This leads to a minimized infrastructure for the reading devices e.g. a smart phone with an additional RFID reader (one per initiative). I) For each additional member of the social network once the network is implemented and released no further cost will be produced. II) For each new participant, in a initiative, would get a RFID card the cost per new participant would not be more than this cheap card. How and why is your social innovation sustainable? Peer review combined with crowd sourcing underpinned with quantitative data will lead after a while to best practice accommodation through the knowledge sharing of the members. Sustainability in the sense of a long term impact is given by the evolutionary improvement of the proposed system. So that over time the understanding of indicators (provided by members of the social network) will increase. 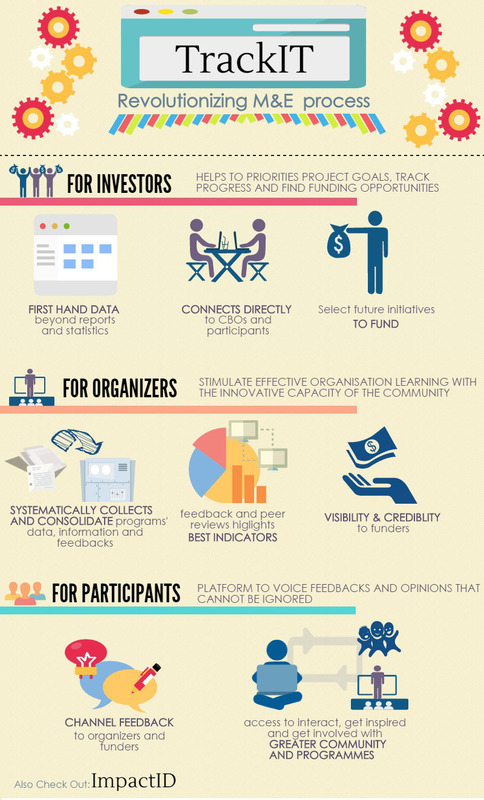 By this we suppose to recognize first of all what is important to observe for a better impact evaluation and monitoring, secondly track which of the projects have the best return of investment by observing the attention which is given to a project in the network and finally to discover success predictors of a not yet funded initiative. GCERF challenge how our solution fits the target user. During the last working sessions we worked on a user hierarchy, based on the propagation flow of the fund from the funder down to the specific initiative. While the final data evaluation and performance monitoring will be managed by A, data should be collected by B, from C, and reported to A. In order to provide report to A and collect data from C our innovation aims the needs of the implementers sub recipients (B). These would be the smaller entities more closely linked to local communities. These may be individuals, informal organizational structures, registered NGOs, or private-sector entities. They will likely have limited human and technical resources (e.g., they may not have access to basic computer and Internet technology). We suppose our target user to collect data and report theme to the funders in a way that is easy, fun and painless. Our innovation combines hard and software technology to fit our target user. 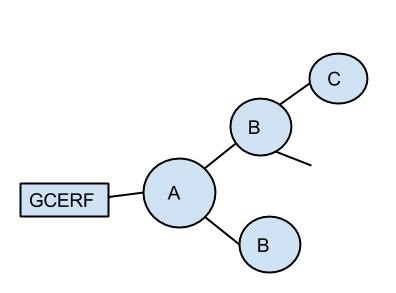 The combination of a social network and a crowdfunding platform for the implementers sub recipients (B) users expanded by the usage of the cheap RFID chips for the final recipients (C). Using RFIDs for data collection is cheap and easy and helps to collect quantitative data (e.g. by using a community shared smartphone and a special application participation rate could be measured). With the social network crowdfunding technology qualitative data could be collected, shared and rated by peers in the network. This combination would be easy, fun and painless to use and would provide a holistic big picture which could be reported to the funder for further evaluation. Trying to understand the given challenge we were facing several questions and facts. The communities are neither constrained in size nor in country. Most initiatives would not be motivated to collect data for a report, because it is already hard enough to lead the initiative in a community. Also if the report is done in a qualitative, not standardized, way it would be as well difficult to extract and evaluate the progress out of it. Would you make a report in the end of the day? And last but not least, to make the challenge challenging enough, by now the indicators for tracking the progress of resilience development within communities are not known. After working out the requirements we determined an approach and discussed a potential solution.